Dr. Gabriel Nossa knows that state-of-the-art dental technology is absolutely essential to providing the most high-quality care, which is why in our office, you’ll find some of the most advanced tools available today. With them, we can make sure that your care is always fast, efficient, and precise so you can spend less time in our office and more time simply enjoying your smile! Read on below to learn more about some of the fantastic tools we use every day. With our intraoral camera, we can finally show you what we’re talking about when it comes to your teeth. 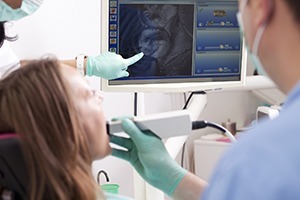 This small, pen-sized camera can be easily maneuvered through the mouth to capture high-resolution images of the teeth and gums we can then display on a large chairside monitor. You’ll literally gain a whole new perspective on your dental health, and we’ll be able to better explain why you might need a certain treatment. 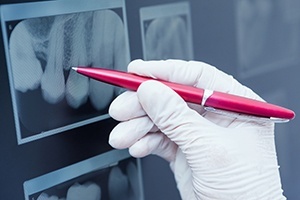 When compared to traditional dental X-rays, digital X-rays are a huge leap forward in almost every way you can imagine. They can create crystal clear images almost instantly, they don’t require harsh darkroom chemicals to be developed, and they also expose our patients (and us!) to 90% LESS radiation. Also, because everything is digitized, the images can be easily sent, stored, and displayed on a monitor for you to view with your dentist. If you hate shots, then you’ll love The Wand®. 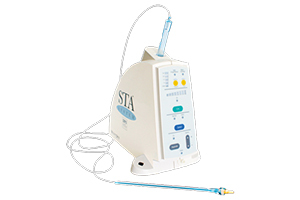 When we need to use a local anesthetic, this device will place a small amount directly on the area we intend to treat before slowly administering the rest, making the process as painless and comfortable as possible. Thanks to this method, by the time a patient asks, “When are you going to start?” we’re already finished! For many, this helps eliminate the one big thing they’re nervous about when it comes to their dental care.